One of the fun things you can do with video games is to look at common trends in game design and work backward to see what the most influential games were at the time. Just look at the games that came out directly after Call of Duty, or League of Legends to see what I mean. One of the more interesting games that have had a lasting influence is P.T., a game that was nothing more than a trailer for a game that never came out. The latest game to take a nod from P.T. and the genre it sprouted, is Get Even. 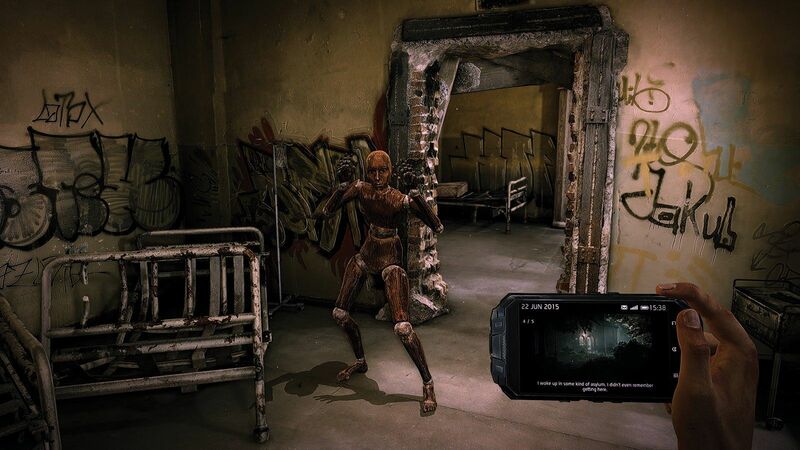 You play as Cole Black, a man who wakes up in a creepy abandoned asylum with no memories, other than the fragmented recollection trying to save a girl with a bomb strapped to her chest. Speaking of strapped, Cole has a strange piece of VR technology fused to his head – used to read and replay memories. Using this device, he will travel into the depths of his own mind to discover the truth about his past. 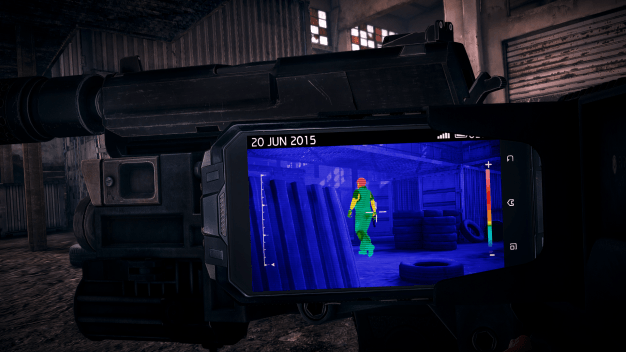 Get Even is part walking simulator, part military stealth game. It’s best described as Layers of Fear with a few stealth sections thrown in. While the shift between two various types of gameplay does a lot to keep the game fresh, the stealth sections aren’t really more than just okay. But they aren’t bad, which is a good thing. The issue with the action levels is that there aren’t really that many options outside of the two powers you get. These powers don’t overlap either. You get one or the other. You get the ability to add or remove things from the level or warp from place to place. I won’t go into the details of how these powers are gained or used since that would get into spoiler territory but know the second power is more fun to use than the first. Honestly, by the end of the game, I found these levels to be more of something I had to get through, to get back to the story. Though this had a lot to do with the game giving me a cool gun that could shoot around corners, and then berating me every time I used it. 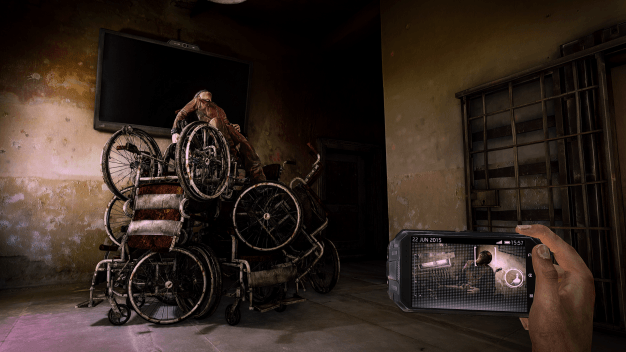 The primary focus of Get Even is its story, which I can’t give too many details on as most of the fun with the story comes from experiencing it blind. The premise is that you are a man named Black who has gone to an asylum run by a man named Red to get help in recovering some lost memories about a failed mission. There is a lot of engagement to be found as it drips out the story piece by piece. Even if you don’t like the gameplay, the story will keep you going. Visually, the game is above average. From a technical standpoint, the game is stellar, for the most part. The only graphical issue I had was in the lip syncing of some of the characters seemed off. Which is a problem with just about every game. Other than that the game looks great. Even on my outdated graphics card. While everything looks great, the art design is nothing special. There just weren’t really any visuals that blew me away. 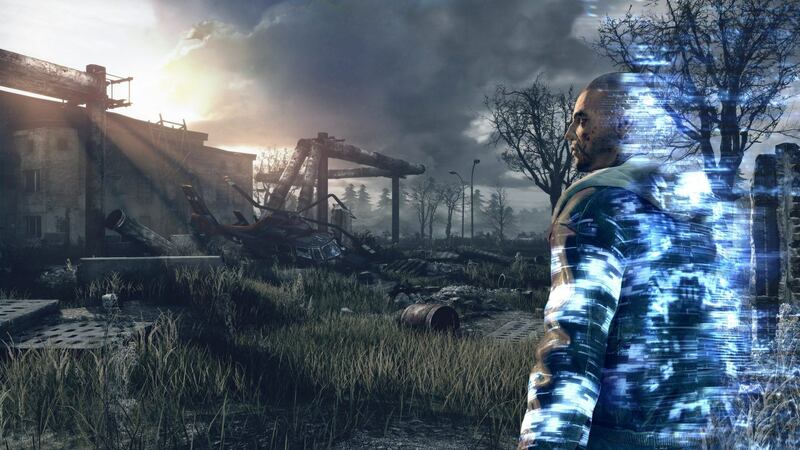 Get Even takes place in a spooky asylum and abandoned warehouses. Two things I’ve seen a lot of in games. 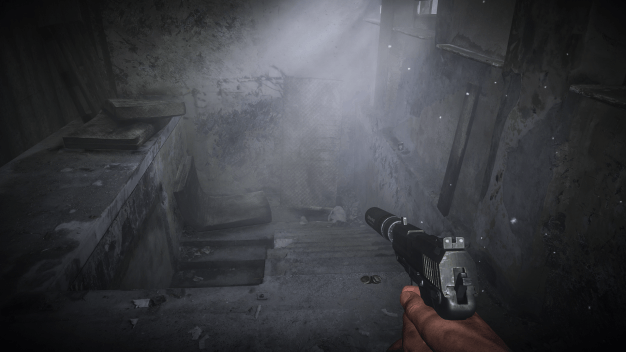 While I did enjoy my time with Get Even, but there were a couple of annoyances, mostly with the UI. In the exploration part of the game, you have to solve puzzles using what is essentially a more cumbersome version of the Arkham games’ detective vision. I say more cumbersome because it is split up into three modes instead of one. The other issue is that two of the modes are not screen overlays, but require you to look at your cell phone in the corner of the screen. I would have preferred if the cellphone took up the entire screen when using these modes for easy viewing. The other issue is that the game has a darkened circle around the edge of the screen that made it feel like my glasses were falling off for the first hour of the game. Eventually, I just got used to it. All in all, Get Even is an engaging game. It blends a neat mix of genres that give it more to do that other games in the genre. In fact, it’s probably closer to what Silent Hill would have been than some of the others that have followed on from Hideo Kojima and Guillermo Del Toro’s infamous playable teaser.